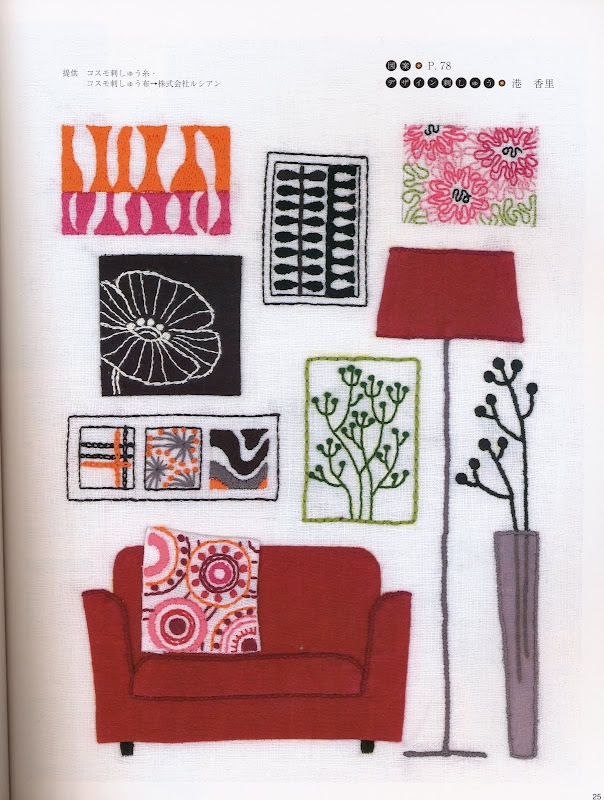 in many ways, japanese and scandinavian styles are in harmony. clean lines. bare minimalism. stripping back to the basics. nothing superfluous. 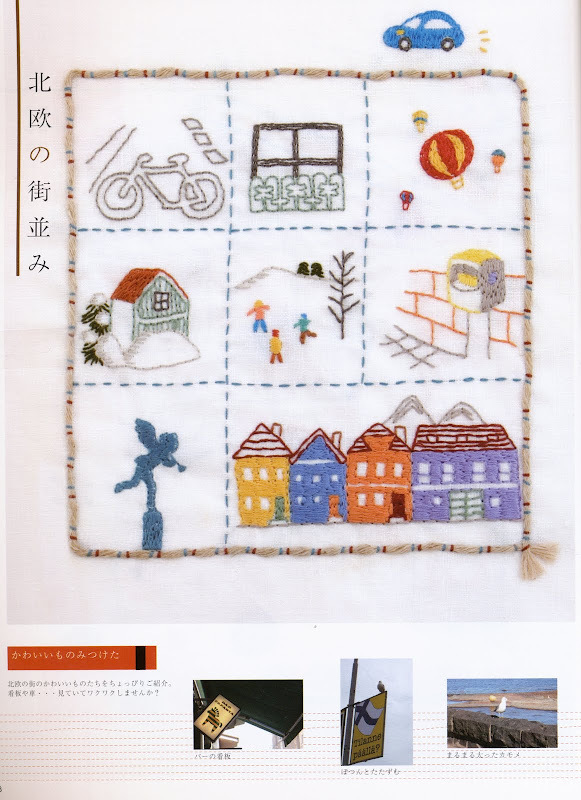 so it's not that surprising that the people behind those fantastic japanese craft books and magazines would do one featuring scandinavian themes. i got my copy here. 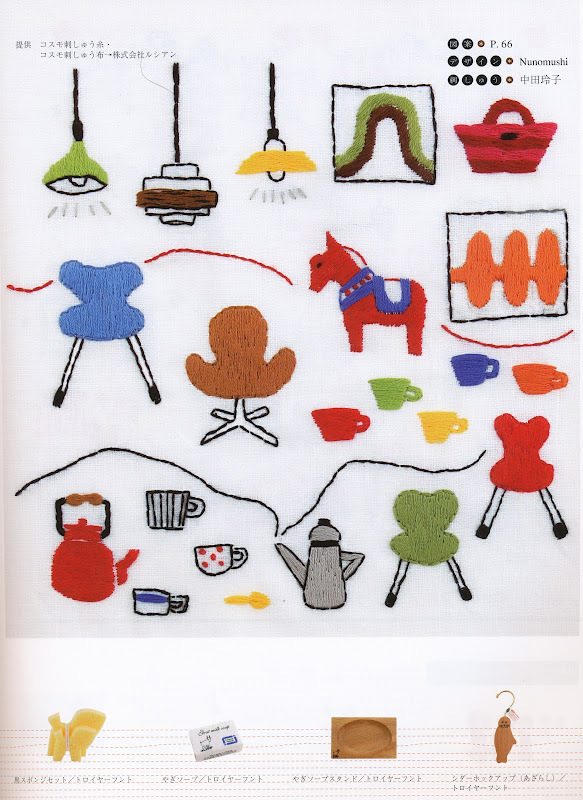 and i'm really charmed by the japanese interpretations of scandinavian motifs. i've scanned a few pages for your viewing pleasure. in this one, i hear echoes of elizabeth's wonderful soul food project. and do go check out the VICE issue of disco underworld. i wrote a little ditty about vodka. just one of my many vices. what are yours? and why not send them to stacey at disco underworld and be part of the fun? Seriously, at the second picture in the middle the piece in green is superduper, like that one a lot. Of course the last picture could be a page of a soul food book. No matter what, have a great day. thats adorable. 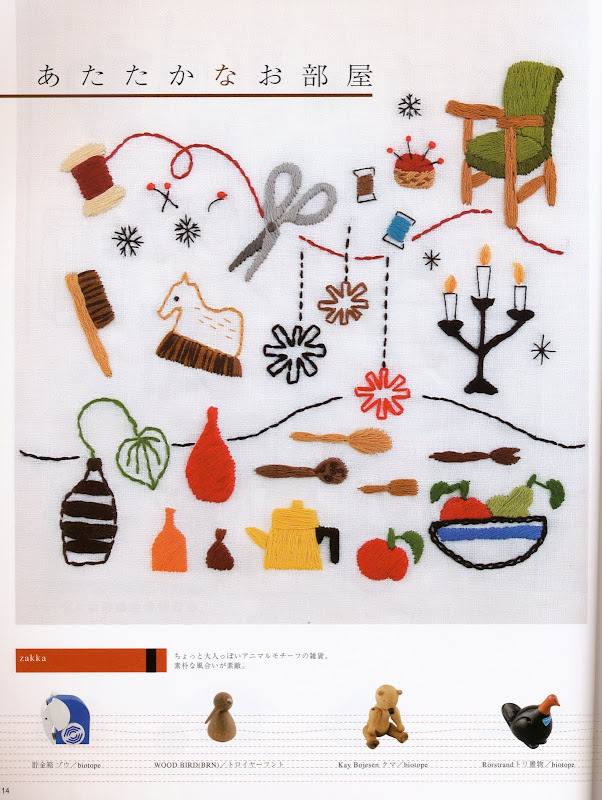 You know, whenever I see 'scandinavian design' featured, even if it is in a ajapanese magazine, I am struck by how scandinavian I am. I love this stuff. They're adorable! Where did you find them? I too have noticed some stark similarities between northern European and east Asian design. Also; if you think of it, there is also a similarity in some of the cultural qualities. Maybe they are interconnected somehow? I'm a vodka gal too. Ketel One straight from the freezer or Lemon Ketel One.